This weekend I resigned from the Spredfast board. It was a very hard thing to do. And, today, Spredfast has officially been acquired by Vista Equity Partners and merged with Lithium (a prior Shasta portfolio company). This ends a fantastic 7-year relationship with one of the best teams and companies that I've been involved with during my 18 years of venture capital. Spredfast is an example of how Gen 2 companies are often the most successful in a new market. In the case of Social Media Management (SMM), the Gen 2 companies (Spredfast, Sprinklr, Hootsuite) outperformed the Gen 1 companies in the space. In any market, it is the Gen 2 companies (the ones following a first wave of pioneering Gen 1 startups) that often emerge with the real software products to address emerging market needs. And, in the SMM space, with the exception of the failed Buddy Media acquisition during the initial hype cycle of the market, the Gen 2 companies will drive larger exits. 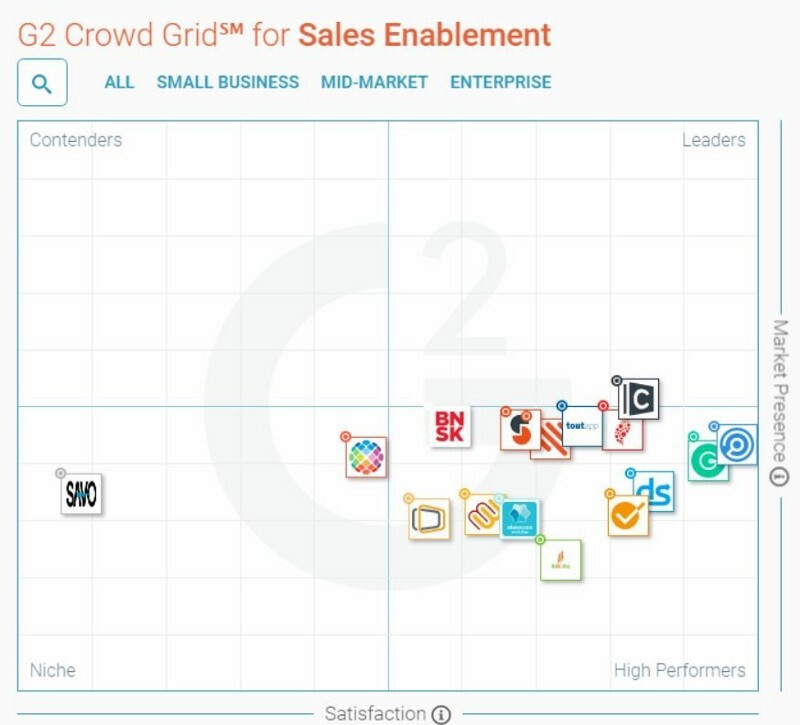 Sprinklr and Hootsuite will both continue to grow and achieve nice outcomes. Spredfast once again proved that laser focus on building a product that solves a critical pain point - and is well designed and easy to use - leads to customer delight. From the very start, my thesis was that Spredfast built the best enterprise-grade SMM platform. And they continued to innovate along the way. Spredfast represents the second investment of mine to be acquired by Vista (Marketo was acquired in 2016). Also, two Shasta additional companies have been acquired by Vista. 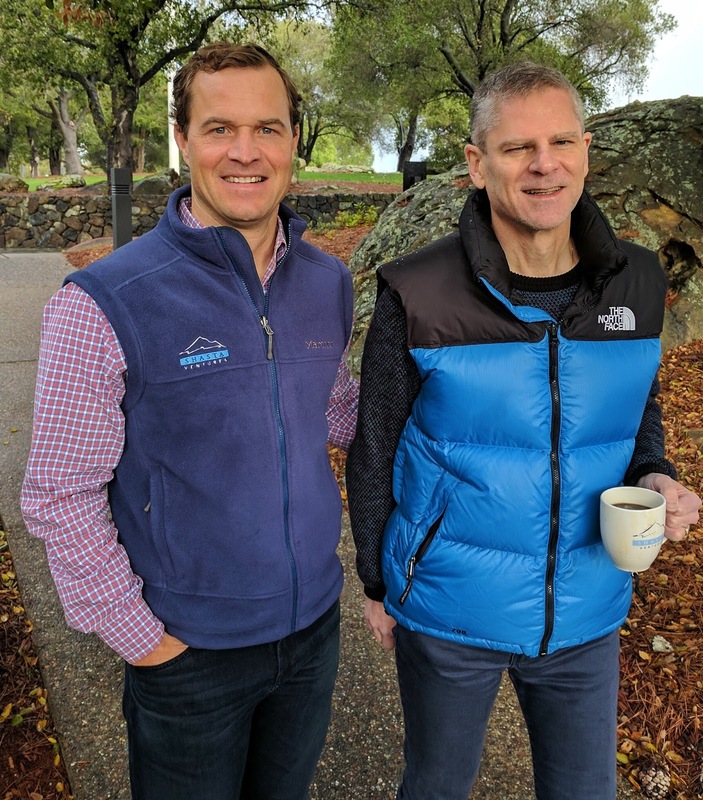 The Spredfast acquisition continues to demonstrate that private equity is an increasingly viable exit for software companies that are not destined to go public. Vista is the best in the business and I look forward to seeing what they can do with Spredfast and Lithium combined. Austin remains an incredible location to start and build a software company. There is a vibrant entrepreneurial ecosystem with many prior successes that serve as examples to founders & CEOs on how to build great companies and provide countless options for experienced mentors and advisors. In addition, there are incredible resources like The Capital Factory for housing and accelerating new startups. But, Austin has changed a lot since 2005 when I first invested there in a company called Lombardi (acquired by IBM). Besides more traffic, the gorillas have moved into town (FB, Oracle, etc). And, like everywhere else, there are more startups and much more capital. As a result, competition for and the cost of talent has increased dramatically. But, relative to the Bay Area, employees are still more loyal to their companies and tend to stick through tough times. Austin will continue to be a core investment focus for me and Shasta (along with the Bay Area, Seattle and New York). Spredfast reminded me again of what I look for in a management team. Ultimately, the reason I backed Spredfast (besides believing in the Gen 2 market opportunity in SMM) was the management team. Yes, they are experienced (built and sold Lombardi prior to Spredfast). Yes, they build great products. Yes, they can market and sell. But more than anything, they know how to build a company with the culture and the attitude to win - to persevere through the inevitable roadblocks and tough times that come with every startup. This is what it takes. And, after 10 years together and two companies, they are now my friends and I will miss working with them on this great company. Thank you Rod, Jim, Dan, Manish, Virginia, Carol, Lynn, Eric and the whole Spredfast team for including me on your fantastic journey. Today we are thrilled to share the news that Natalie Sandman is joining Shasta as an Associate on our Enterprise team. After years as a software product leader and a startup co-founder, she’s joining the Venture Capital community and bringing along her inquisitive attitude and extremely relevant product experience. We couldn’t be more excited. When we started our search for an Associate to help us discover the next breakout enterprise software companies, our goal was to find someone who is curious about technology and passionate about entrepreneurship. We wanted someone who would understand what it takes to build innovative products at the earliest stages of a company as well as grasp what it’s like to be a start-up founder. Natalie brings all of this to Shasta and much more. Natalie possesses a deep sense for what it takes to build great products and the experience and perspective in many areas of software — including applications, infrastructure, big data and machine learning. She joins us from Ravelin, a London-based payment fraud detection startup, where she led its product team. Previously, she was one of the first product managers at Zenefits building out benefits, payroll, and HR products during the company’s early and hyper-growth years. She also co-founded Dabble, a mobile shopping app. Natalie received her undergraduate degree in Mathematics and Economics at Harvard College where she was also an award-winning Varsity volleyball player. Throughout all of these experiences, Natalie’s lived the ups and downs of building startups: from the excitement of closing the first customer, to the highs of explosive growth, and the hardships of layoffs. She can empathize with founders and operators alike, and appreciates the brick-by-brick work it takes to build epic products and amazing companies. 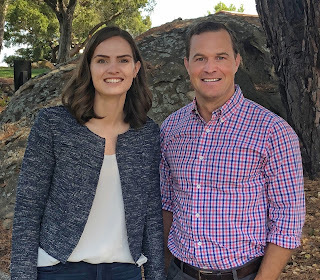 More than anything, though, Natalie will be a fantastic fit with the Shasta team and exemplifies our culture and commitment to unwavering partnerships. Her references describe her as humble and hard working. She shares our philosophy of working tirelessly to be the very best partner for entrepreneurs along their journey of building their startups. One of her references summed up her personality in a few words: “Natalie is fearsomely smart, organized and a pleasure to work with.” We think these attributes will not only make her a fantastic addition to the Shasta team but also someone who will quickly become a great partner to entrepreneurs. 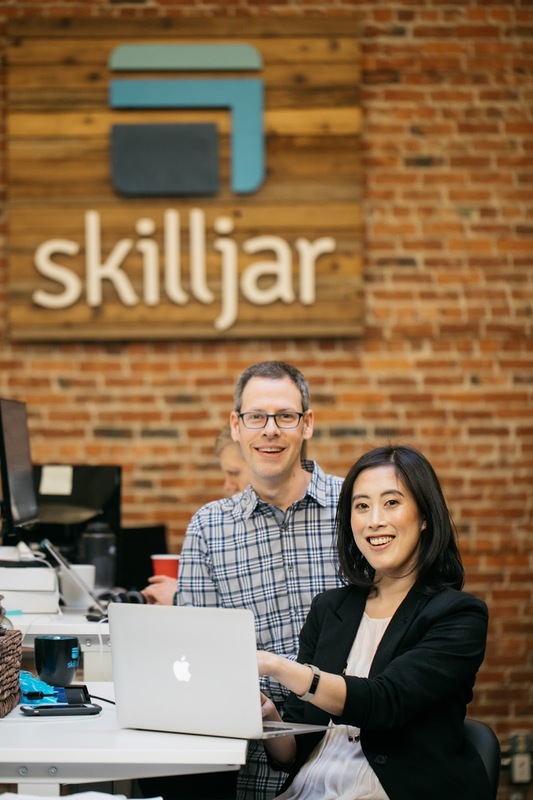 Today, I’m excited to announce that Shasta Ventures has invested in Skilljar, a Seattle-based customer enablement platform. We’ve invested alongside our friends at Mayfield as well as existing investor Trilogy Equity Partners. Investing in Skilljar was an easy decision. The reasons why shed light not only on my approach to investing in enterprise software but also something bigger—namely, how changes in customer behavior have created new challenges and opportunities for modern enterprises today. First, Shasta looks for top teams to get jobs done, and Skilljar met that standard and then some. Co-founders Sandi Lin and Jason Stewart cut their teeth working at Amazon together. While running Amazon Marketplace, Sandi, who’s an MIT and Stanford Business School alum, noticed how hard it was to onboard merchants. If the merchants didn’t learn quickly how to use Marketplace’s core features, Sandi would lose them. Keeping customers requires training them, Sandi concluded. Enter Skilljar. In 2013, Sandi and Jason left Amazon and launched the company as an advanced learning management system for the 21st century. Its cloud-based software allows companies to create online courses and universities tailored for customers to learn their products. And that’s where our Reason Two for investing in Skilljar comes into play. Sometimes we invest before a team even has a product, but that’s for another blog (this one, actually). Often, though, we invest in great teams that have market-leading products. After speaking with customers of Skilljar, which were among the best I’ve done in 17 years of investing in software companies, I realized that’s exactly what Skilljar has created. Reason Three: traction. Skilljar revenues grew 3X year over year in 2017. And despite little marketing effort, more than 100 companies, including Verizon, Cisco, Zendesk and U-Haul, are currently using Skilljar’s platform. These are large companies that need to on-board customers at scale. After evaluating the competition, Skilljar is their preferred tool. Venture Capital today has a lot of sharp elbows, but cooperation between firms used to be a lot more common. Fred Wilson recently wrote about his own nostalgia for splitting deals, and I agree 100% with him about the benefits—shared risk, resources and networks. Yes, believe it or not, I still believe this industry can and should be a team sport. My friend Rajeev Batra at Mayfield and I co-invested and worked together on Marketo and Newscred, so Skilljar represented a great, new opportunity for us to repeat success. Underlying all of these reasons, however, is how Skilljar fits into a new world of customer behavior—and into my investment strategy. Over the last decade, both enterprise and consumer-facing software companies began shifting away from selling packaged software through a one-time license payment and moved toward selling a subscription continuously (i.e., they moved from a pay-for-product world to a pay-for-service one). You now rent software. Welcome to the Subscription Economy! This move towards recurring sales also means a seismic shift in the way companies advertise and market. For one, the relationship with the customer has changed dramatically. It’s no longer a one-time occurrence, it’s an ongoing, ever-evolving exchange. Accordingly, companies increasingly demand better tools to optimize customer success. Skilljar focuses on the core aspect of the customer journey: getting customers engaged with products! After investing in many companies over the years, I know that the biggest determinant of customer success is how well and how fast customers are on-boarded. The trick is training customers quickly and easily – but at their own pace. Skilljar’s platform does just that. 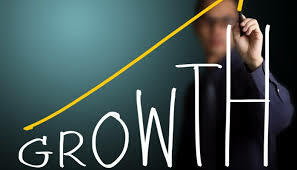 It integrates seamlessly with Salesforce.com, Marketo, Totango and other customer success platforms and personalizes tutorials based on the learning needs of its customers. Skilljar offers the best new learning platform to help companies take advantage of the subscription economy and better serve their customers. On behalf of Shasta, congratulations to Sandi, Jason and the entire Skilljar team! We’re looking forward to seeing Skilljar help enterprises better serve their customers and do it at scale. Creating Great Presentations is Hard. Beautiful.ai’s Founder Mitch Grasso Can Help. Understanding the full promise of Beautiful.ai's new visual presentation product requires understanding Founder-Market Fit. Let me explain. Visually presenting information is a vital part of functioning in our knowledge economy. For a lot of us, it doesn’t come easily. It means late nights and a lot more time than we’d like designing slides, sizing boxes, drawing circles, aligning text fields or finding relevant visuals. Worldwide there are some 500 million PowerPoint users, most of whom don’t enjoy creating presentations. They’re just thrilled to get them done. Starting today, thankfully, there is a great new option. Beautiful.ai’s new product - launched today at the SaaStr Conference - harnesses artificial intelligence to help regular business folks communicate their ideas better and faster. And, yes, more beautifully. Its value proposition is really that simple. And the user experience is amazing. 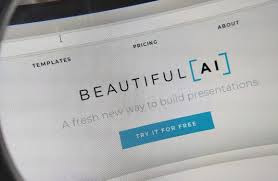 Beautiful.ai’s Design AI technology is the first AI-powered design presentation tool ever launched. It lets anyone build clean, modern, and professionally-designed slides—quickly and easily. At Shasta, we couldn’t be more excited to lead (alongside our friends at First Round Capital) Beautiful.ai’s Series A round - ahead of its product launch. And here’s why. In Silicon Valley, Product-Market Fit is a widely understood concept. Young, promising startups (a.k.a good investments) need to have a high-quality product that addresses the needs of a market, preferably a very large one that’s growing rapidly. However, as early-stage investors at Shasta, we don’t always have the luxury of waiting for a potential investment to have a great product and paying customers —or even a clear concept of what that product might ultimately look like. Sometimes, we simply make a bet on a Founder where we believe there is extraordinary Founder-Market Fit. Having Founder-Market Fit means backing one of the top people in the world to solve a distinct problem. It often means a founder whose entire career has culminated in starting a specific company solving a huge problem and building a product that only that founder could build. Usually, that founder has a special view on how to solve a problem, and the unique ability and skill set to build a game-changing product to tackle that problem. For example, when Shasta backed Nest Labs in 2010, the home automation market was unchartered territory. There was no equivalent of the iPhone, or iPod, for the smart home. No company had yet created anything close to it. However, few entrepreneurs anywhere in the world were as capable of envisioning and then building that device as Nest co-founder Tony Fadell, the former head of the Apple iPod division who is considered one of the fathers of the groundbreaking device. The same calculus drove our investment in Marketo. When Bruce Cleveland and I invested in 2006, the marketing automation software startup didn’t have customers, or even a product. But Phil Fernandez, Jon Miller and Dave Morandi’s experience convinced us they could deliver a game-changing product. Their work reinventing B2B marketing at Epiphany was so relevant that we bet they would build the leading company in the market. And they did. Before launching Beautiful.ai, Mitch Grasso founded SlideRocket, a company that offered a groundbreaking cloud-based presentation product attracting millions of users. It was such a success that VMware acquired SlideRocket in 2011. But Mitch didn’t stop there. He kept thinking about how to make the process of creating presentations easier, better and more beautiful. 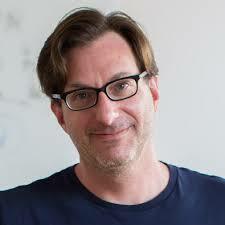 Mitch is the rare entrepreneur that possesses several skillsets - equal parts product visionary, designer and engineer. Mitch can envision the right solution, design it beautifully and then build it. For someone to create a breakthrough product, especially in the presentation space, you need all those assets. Mitch is that founder. He not only envisioned Beautiful.ai’s presentation tool, he built the complete product nearly entirely on his own. Like the founders of Nest and Marketo, Mitch has the unique perspective and experience along with the energy, enthusiasm and dogged perseverance necessary to bring his vision to the market and succeed. I couldn’t be more proud to support Mitch and his vision. See it for yourself here and you’ll understand why I believe in Founder-Market fit.